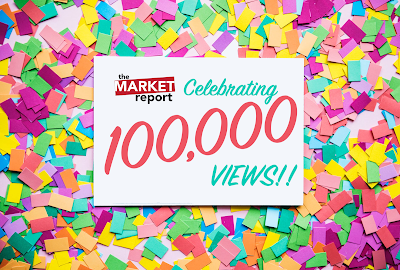 The Market Report: 100,000 Views! Wow! I kind of still can't believe people actually read this, but I'm going strong and sure ain't stopping any time soon. Thank you as always to everyone who reads The Market Report, no matter whether you're a regular reader or just passing through. But you don't have to be a regular reader to celebrate this milestone with us! Order today from The Market Report's online store and use code 100THOU to save 10% on your order. Check out our range of clothing, accessories, and home products at teespring.com/stores/marketreportblog. For more celebration, here's a look at what you can expect in each month of 2019! 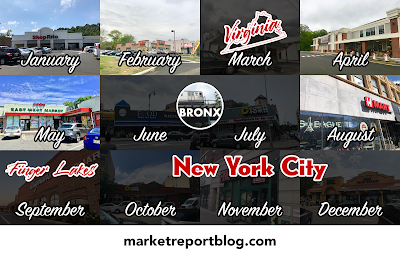 We'll be seeing some new areas this year, Virginia (March), the Bronx (June/July), the Finger Lakes of New York (September), and all five boroughs of New York City (October/November/December). Coming up on January 12, we'll be seeing the 2018 Year in Review! Congrats on 100,000 views, and looking forward to all the new content! Happy (belated) new year! Thank you on all counts! Happy new year to you as well!